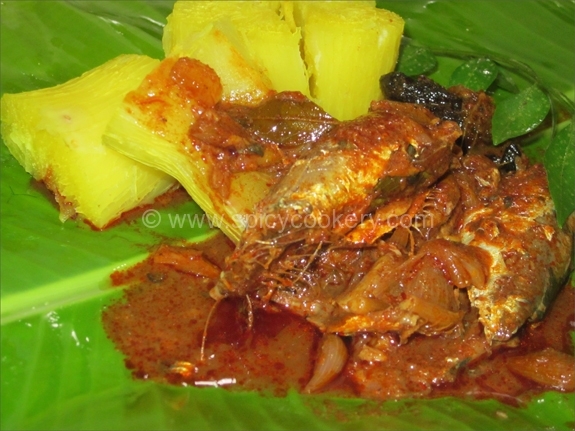 Today presenting before you is a typical Kerala traditional Karimeen Pollichadhu recipe (Pearl spot fish cooked in Banana leaf ). 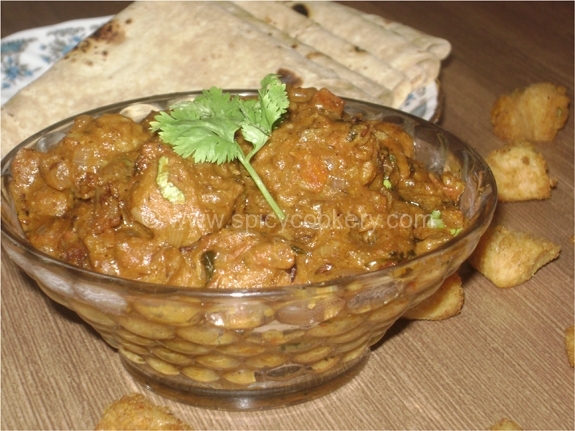 This dish is a specialty of Kerala house boat. 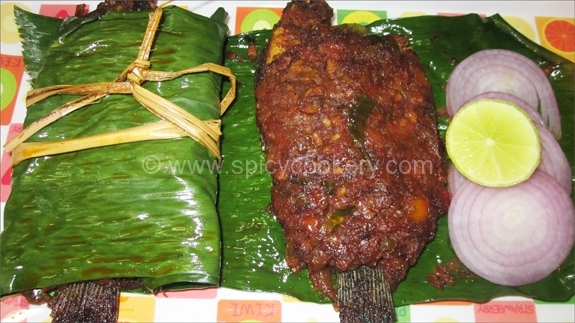 Karimeen/ Pearl spot fish stuffed with Indian masala tied in banana leaf & fried are its highlight. 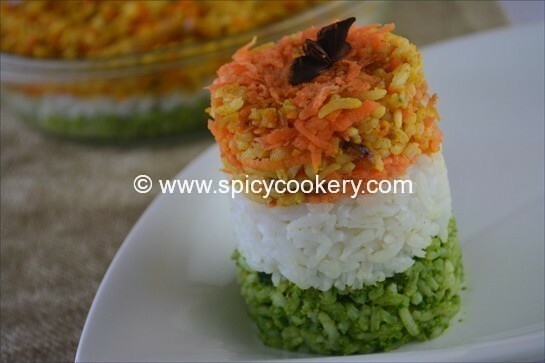 Rice (Koothaari) is the best combination for this Non veg dish. 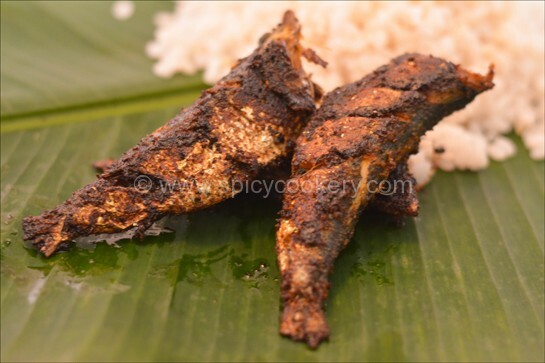 Marinate the cleaned karimeen with turmeric powder, chili powder & salt. Keep the marinated fish in refrigerator for ½ hour. 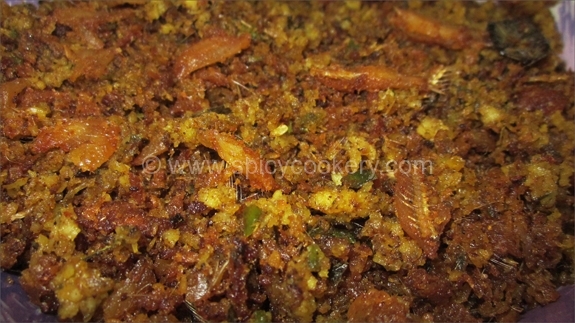 Place the marinated fish & deep fry both the sides till brown in color. 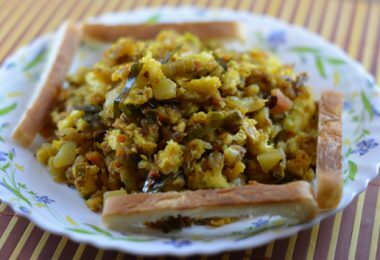 Remove it to a dish. Then add the chopped onion & sauté well till onion turns transparent. 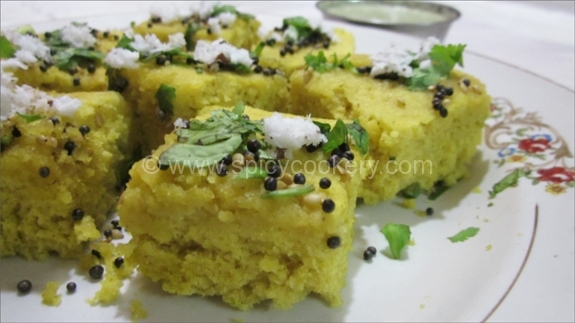 Then add chili powder, turmeric powder, coriander powder, garam masala powder & salt & sauté for 2 mins. 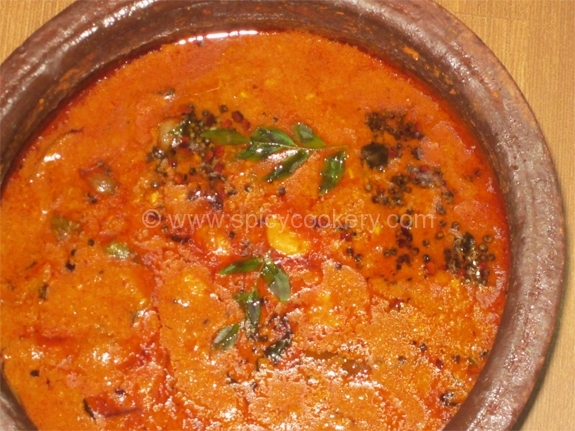 Then add tomatoes & sauté till the tomatoes are cooked. Slightly heat both the sides of banana leaf. 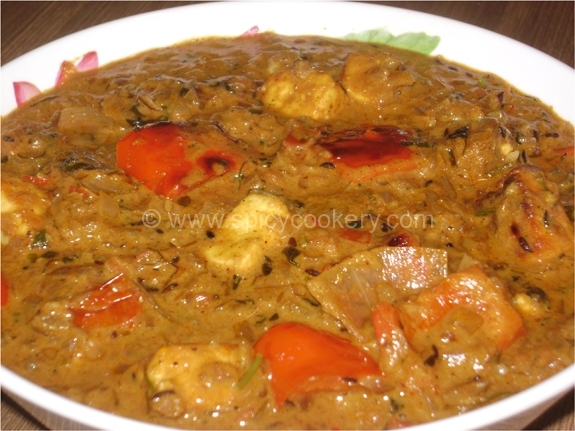 Add 2tbsp of masala in center of banana leaf. 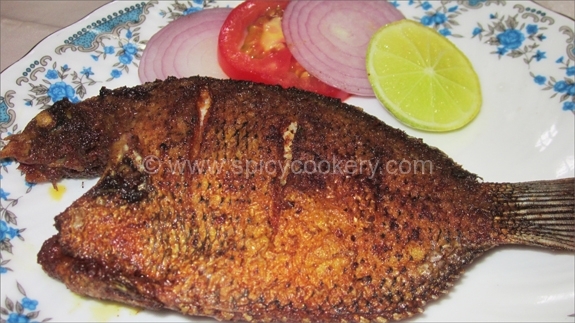 Place fried fish & coat the above of fish with 2tbsp of masala. Then wrap two ends of banana leaf & tie it with a thread. Add 2tbsp of oil in frying pan. Place wrapped fish in the frying pan. 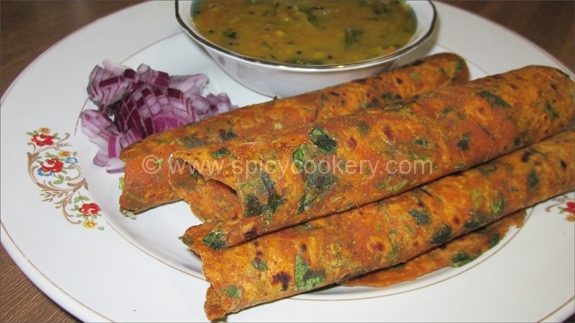 When oil starts oozing out, turn to other side & fry for 5mins in low flame. 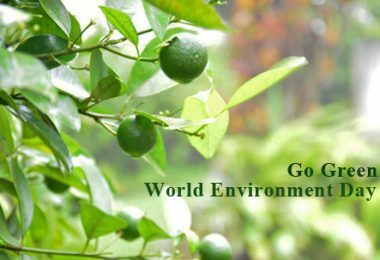 Remove it in a plate coated with tissue paper. 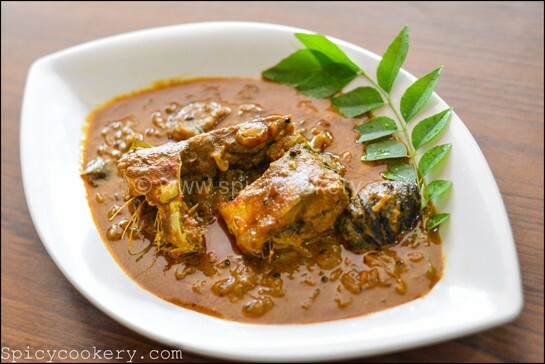 Kerala style – Karimeen Pollichadhu is ready to serve with hot kuthaari chor (Rice).